The top 12 So You Think You Can Dance contestants hit the stage set to prove they are America’s Favorite Dancer. With Vitolio and Karla recently exiting the show, the top 12 So You Think You Can Dance crew have two less competitors. Read our interview with Vitolio and Karla here! let’s get there already. Enough is enough. Did anyone venture over to the new Syfy channel for Warehouse 13? I’d love to hear your thoughts about it or anything that you watched last night in the comment space below. top. Maybe tonight will be that night. The ghost hunters are back with all new episodes beginning with a trip to an 18th Century prison in Wicklow, Ireland. Watch Ghost Hunters International at 9:00 on Syfy. Neil Patrick Harris is a guest judge on tonight’s episode that has the chef’s working culinary magic but first they must cook an egg with one hand literally tied behind their back. 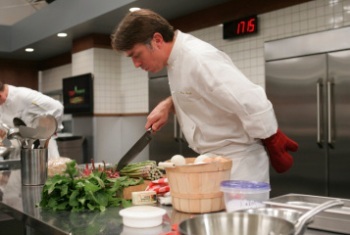 Watch Top Chef Masters at 10:00 on Bravo. Bravo has renewed Real Housewives of New York for a third season but with several of the cast members asking for more money, rumor is they might be replaced. Andrea Bowen, who plays Teri Hatcher’s daughter on Desperate Housewives, will be returning to the show this season. Musical star Shirley Jones will guest on next week’s episode of The Cleaner. 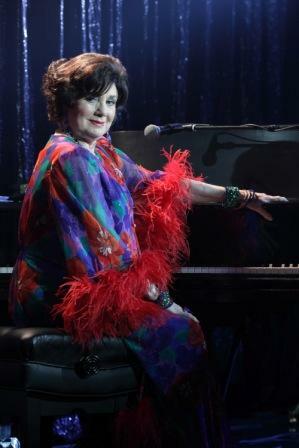 She’ll be playing an infamous nightclub singer with a severe alcohol problem. The Jonas Brothers and Demi Lovato will all return for Camp Rock 2. Another SNL sketch is becoming a movie. This time it’s Will Forte’s MacGrubber. Yikes. Hilary Duff is joining Gossip Girl!